USB PIC Programmer supports onboard programming through ICSP of any PIC microcontrollers from Microchip. It is supported in all operating systems including Windows 2000, XP, Vista & Windows 7. 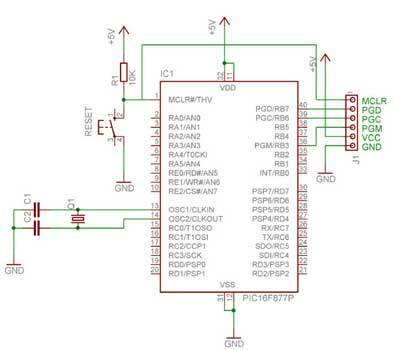 Use it with RKI-1681 Programming socket for easy operation with any standard 8/14/18/28/40 pin DIP PIC microcontroller. Check image given below. Provides all basic functionality of Read, Write, Erase, Blank check, Configuration bits setting etc. The PIC Board containing MCU can have standard 6 Pin ISP Male Header as shown below to connect to this Programmer.